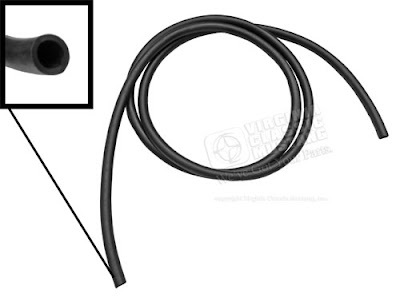 We now have the rubber covering for the Mustang and Shelby manual choke cable assembly. It comes as a 52 inch section, which should be more than enough to do any 65-66 HiPo Mustang choke cable or even a 69-70 Boss 302. Our part number is IN-7481. The new covering allows you to use your original choke cable if it is good and only needs the rubber covering replaced. 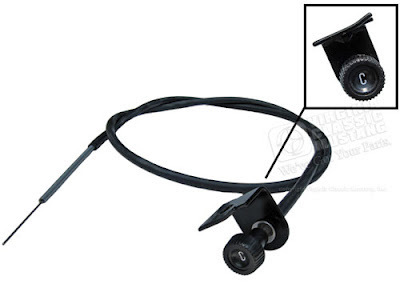 If you need the entire 65-66 Mustang / GT350 Shelby manual choke cable assembly, we still have a great USA made reproduction with the correct knob, bracket, cable and covering. Our part number on this is IN-70. Mustang High Performance Choke Cable Assembly.